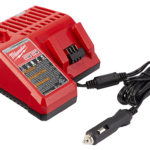 Milwaukee just released a the world’s first cordless 1″ impact wrench with the Milwaukee M18 Fuel 1” High Torque Impact Wrench w/ ONE-KEY 2867-22 model. 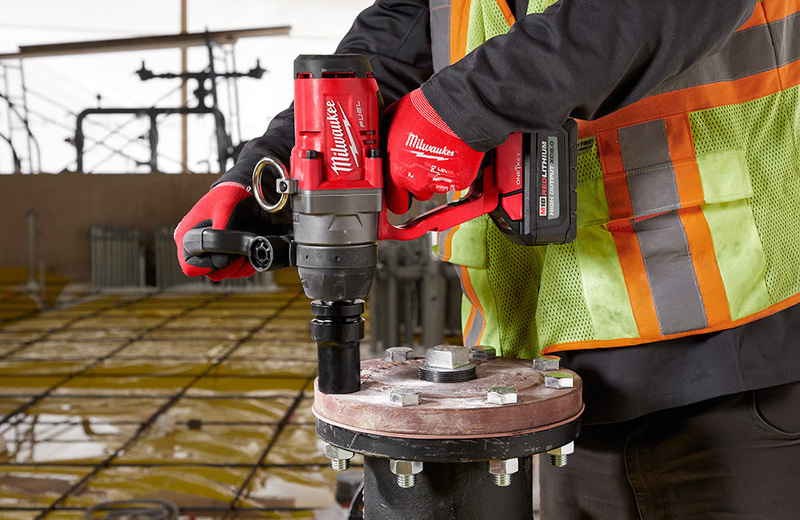 Featuring a 1 inch square anvil, the Milwaukee M18 Fuel 1” High Torque Impact Wrench w/ ONE-KEY 2867-22 is designed for power utility, fleet & automotive maintenance, and iron working professionals who need to fasten up to 1-3/4” bolts. This bad boy has up to 1,800 ft-lbs nut busting torque and 1,500 ft-lbs fastening torque! It has One Key functionality which provides the ability to customize, track and manage this impact wrench, as well as set a repeatable torque. 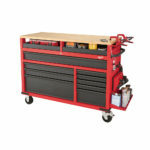 I have a feeling that if and when other brands start putting out their versions of cordless 1 inch impact wrenches, they’ll most likely be using a higher voltage platform or dual battery setup which brings me to the point that Milwaukee was able to make this tool possible on only 18 volts. This doesn’t surprise me since they’ve done it before several times as they were the first to come out with a cordless SDS Max rotary hammer and still is the only one running on 18 volts. They’ve made other countless tools you wouldn’t expect on 18V. 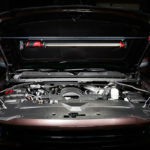 Milwaukee achieved those feats by using larger capacity batteries starting out with the HD 9.0’s, which were 15 cell battery packs, but now with the introduction of 10 cell 6.0 and 8.0 HD High Output battery packs, we can expect similar performance with a battery more compact than 15 celled models. 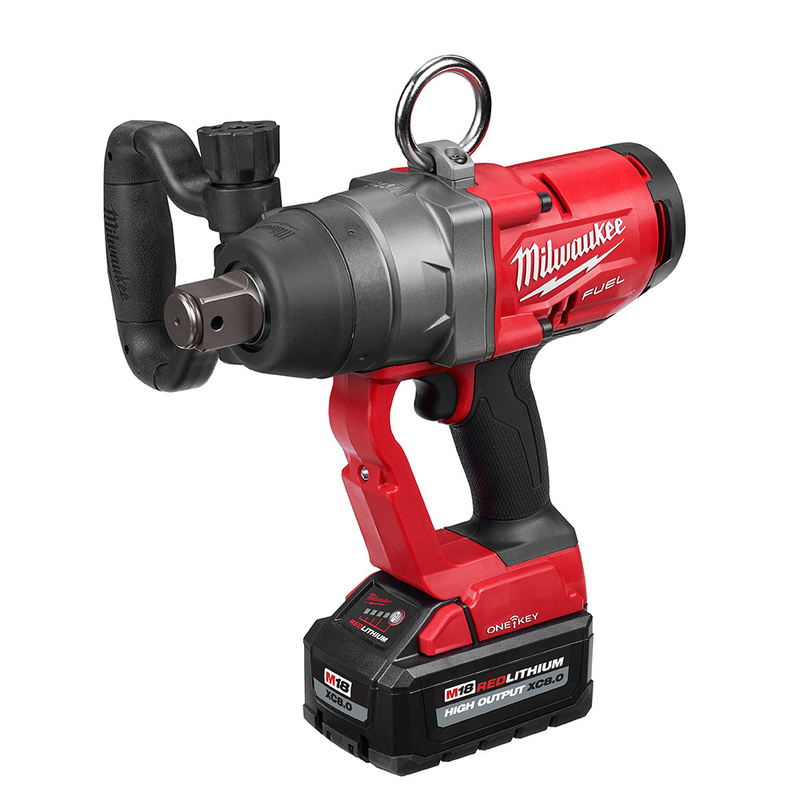 With that said, Milwaukee packs an 8.0 ah high output battery pack with this new 1 inch impact wrench. Which is a good thing because this new 10 cell battery pack keeps the overall size and weight down. The Milwaukee M18 Fuel 1” High Torque Impact Wrench isn’t a small wrench so they’ve added a large secondary handle to make it easier to handle and to hold on tight since it produces massive torque. It also has a large built in tether ring on top which is perfect for linemen to keep the tool tethered and anchored in case of accidental drops. It’s got four-mode DRIVE CONTROL feature, which provides users the versatility to switch between modes to match the power and speed for the application. The housing also has a portion in front of the user’s hand which should help protect your hands if you bump something while holding the impact wrench. It will be available June 2019 with pricing of $699 as a (bare tool) and $999 as a (kit). 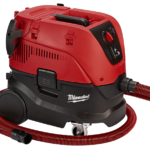 It will also have an optional protective boot available, model number 49-16-2867 which is good if you want that Batman stealth look or you simply want better protection from bumps and scratches for your tool.